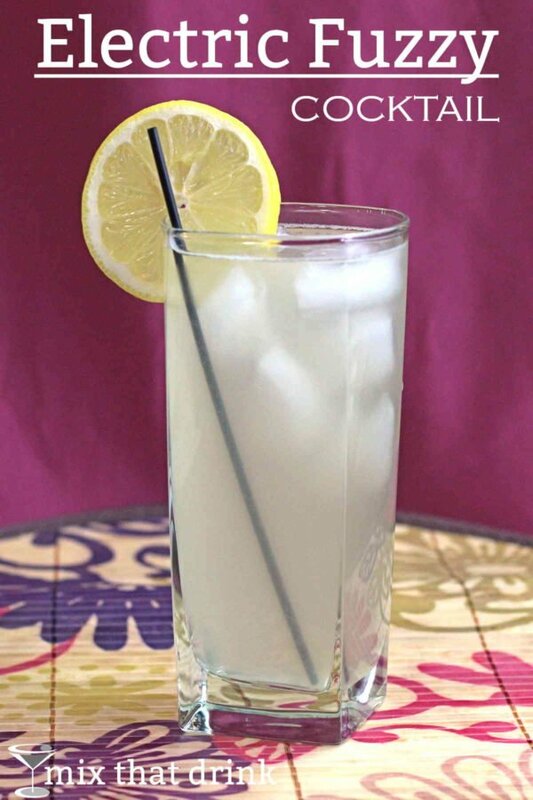 The Electric Fuzzy is a lemonade based drink – in fact, it’s basically just lemonade spiked with peach schnapps. That makes this lightly fruity cocktail very drinkable and refreshing. 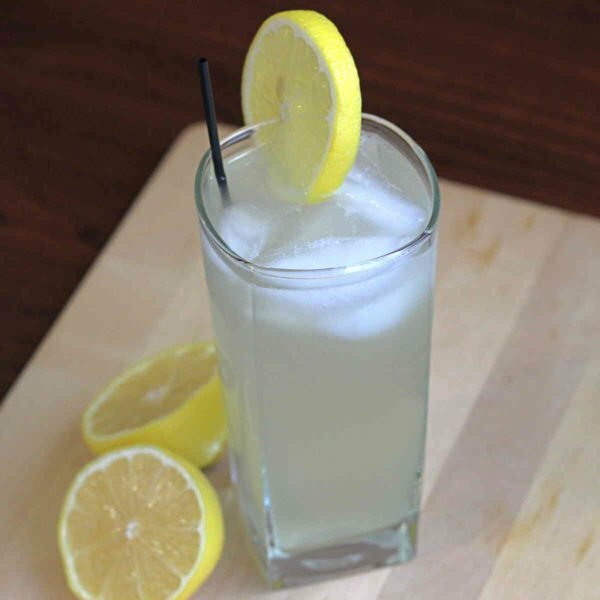 It’s and easy to make anytime you’re in the mood for a lemonade, but want something stronger. 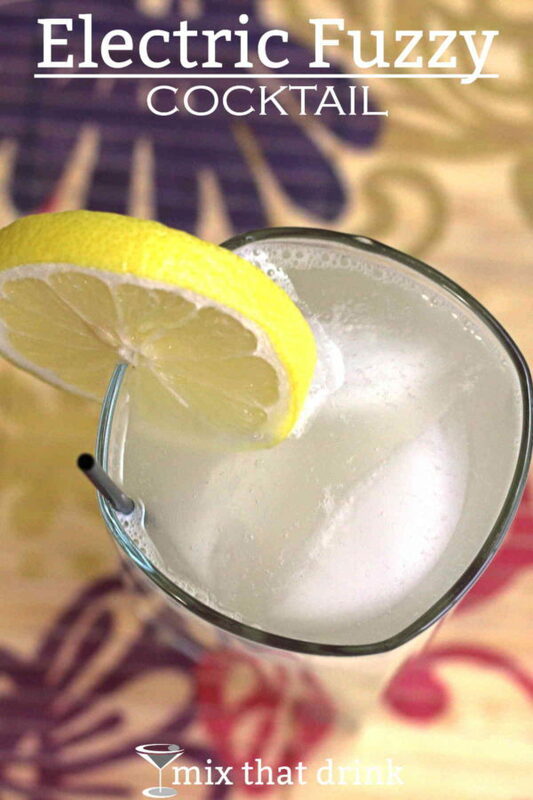 This is a really laid-back cocktail that’s wonderful on hot days, or anytime you just want to relax. It’s great for barbecues and casual get-togethers with friends. Most people love peach and lemon together. This is a great drink for parties too. Fill up a pitcher with it, and you can top guests off as often as they need it. And if you prefer to serve it by the glass, it’s sill a great choice. It’s so easy to make, because you just pour the ingredients and stir. No shaking, no blending. Plus, it’s not a particularly strong drink, which is also a good thing at parties. As is the fact that it goes with any food lemonade works with – loads of savory finger foods and appetizers, like buffalo wings. In fact, try it with any chicken wing recipe you like, or enjoy it with burgers or hotdogs. It’s also terrific with pizza, like this Spicy Chicken and Pickled Jalapeno Pizza from Mexican Please. That’s a made-from-scratch recipe, where you make your own crust and everything else. It’s got some great seasonings, and the spice contrasts wonderfully with the smooth citrus in this drink. If you enjoy this drink, trying the Porch Crawler, which blends beer with vodka and Kool-Aid’s Lemonade flavor. It’s a stronger drink than this one, and it’s pretty tasty as long as you pick a beer you like. Fill a tall glass halfway with ice. Pour in the ingredients, and stir. Garnish with a lemon wheel.